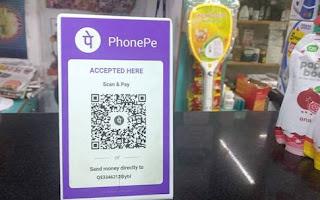 PhonePe App – Get 100% Cashback on Scan & Pay Transaction across all merchants. PhonePe has Come up with “Scan & Pay” transaction offer where you will get the 100% Cashback on your 1st transaction during the offer period. So Hurry up and avail this offer now !! 6- You will get 100% cashback up to Rs 100 on 1st Scan & Pay Transaction. 1) No Min bill value required. 2) Offer valid on 1st Ever Scan & Pay transaction. 5) Cashback would be credited to your PhonePe wallet during offer period. 6) Offer valid from 14th Septemper 2017 till 10th December 2017. 7) Get 100% cashback on SCAN & PAY on Phonepe on first transaction during offer period.